Stay tuned to find out the details for our announcement for NextGen City Jam on Monday, April 22! We’ve partnered with Sonic 102.9 and we’re super excited to share the news on what we’re doing this year for City Jam! In the meantime, make sure to have your volunteer hours lined up or your volunteer shift confirmed. Starting May 1st, 2019, volunteer at an Edmonton charity or non-profit. Once you have 10 volunteer hours, you can sign up to get your name on the guest list for City Jam. And this year, any one including those under 18 years old can sign up to attend City Jam = all ages! City Jam 2018 helped raise 13,452 volunteer hrs to help 156 nonprofits. 13% of attendees at City Jam were first time volunteers. Many thanks to Volunteer Alberta and ECVO for helping promote City Jam! We know the important impact that young people can have on the future of this city, which is why we're hosting City Jam to encourage more Edmontonians, especially between ages 18–40, to get involved and experience how rewarding it can be to give back! 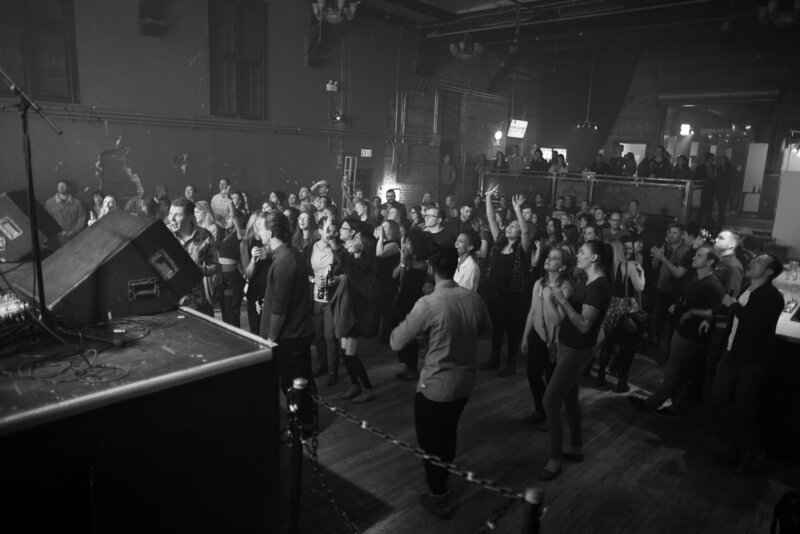 NextGen City Jam is a packed night of live music that encourages Edmontonians to volunteer in YEG! The concept is simple: volunteer a minimum of 10 hours, sign up to get your name on the guest list to attend a fantastic event! Whether you're volunteering for the first time, or you're a long-time volunteer, City Jam is our way to say thanks for all that you're doing to shape Edmonton. Thanks again to everyone who attended last year's event! We had the best time with you, and together we contributed 13,452 hours to local volunteer programs. Check out a few familiar faces in our City Jam video and take a minute to reflect on all that we're doing together to build Edmonton into the city we want it to be. We're happy to have Edmonton Chamber of Voluntary Organizations (ECVO) and Volunteer Alberta as partners for City Jam 2018! How do i get Into city jam? 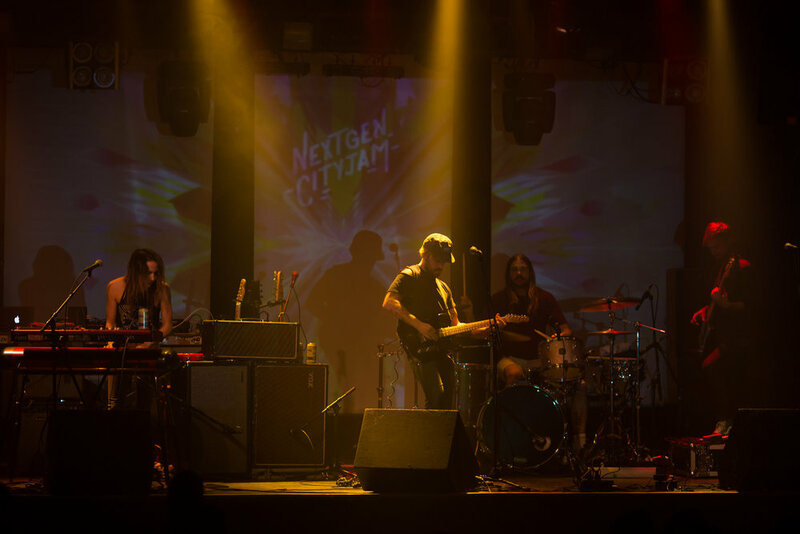 Want to join us at NextGen’s City Jam? Here’s everything you need to know! 1. Find an eligible volunteer opportunity. Volunteer Connector and Charity Village are two great places to check out volunteer opportunities in Edmonton. NextGen will also be organizing some fun volunteer opportunities over the next few months. Make sure you sign up for the NextGen newsletter so you’re the first to hear about how to get involved. Remember, NextGen City Jam is only accepting volunteer hours from formal volunteer programs. See the City Jam rules and regulations for more info about eligible volunteer opportunities. 2. Sign up for an eligible volunteer opportunity. Once you’ve found a volunteer opportunity that interests you, contact the organization directly to set up your volunteer shift. Can’t pick just one? You have the option to volunteer with as many different organizations as you would like! This will let you choose opportunities that suit your availability and interests. As long as you reach that 10 hour minimum, you’ll be eligible to have your name on the guest list NextGen’s City Jam. Some volunteer opportunities will require you to go through a screening process before you can start volunteering! Depending on the program, this could be anything from an application form to an informal interview to a Police Information Check. Have you started volunteering with a new organization? Let us know how it’s going! We’ll be following along on social media. Snap a selfie and share your volunteer experience using the hashtag #nextgencityjam and tag Edmonton’s NextGen on Facebook, @edmnextgen on Twitter, or @edmnextgen on Instagram. 6. Fill out and submit the City Jam Registration Form - the form will go live on May 1st. Volunteer at least 10 hours between May 1 and September 4, 2019, then submit your hours to us. NextGen will contact your reference to verify your volunteer hours. Once your reference confirms your volunteer hours, you will receive an email from us notifying that your name is on the guest list! Make sure you read the fine print carefully! By submitting your registration form, you’re agreeing to follow all NextGen City Jam Rules and Regulations. If you’re having trouble submitting your hours online, please contact us at nextgen@edmonton.ca to see how we can help. Volunteer 10+ hours earned between May 1 , 2019 and September 4, 2019 at an EDMONTON charity or non profit. Hurry and get those volunteer hours because the guest list will fill up fast! Stay tuned for 'Volunteer with NextGen' as we host volunteer opportunities at local Edmonton charities and non profits to help you get your 10 volunteer hours for City Jam. Volunteers are shaping the future of Edmonton. Volunteering is a way to connect with your community, learn new skills, and build lasting relationships. With the support of dedicated volunteers, local organizations can accomplish their goals and deliver important programs and services. By giving back as a volunteer, you are making Edmonton a great place to be! Check out our top three benefits for volunteering!